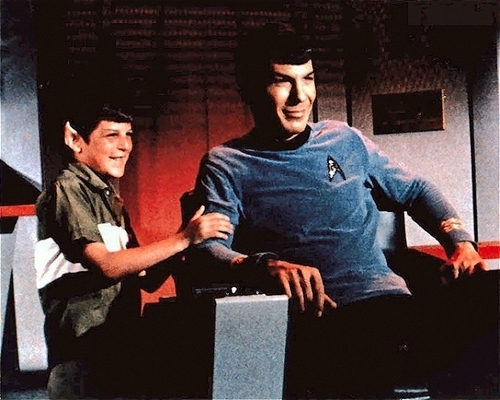 Leonard Nimoy gets surprised on-set oleh his son, Adam.. . Wallpaper and background images in the star trek series original club tagged: star trek tos spock leonard nimoy. This star trek series original photo contains tanda, poster, teks, and papan tulis. There might also be podium, meja membaca, laptop, komputer laptop, and ruang tamu.